Samsung launched its Galaxy A30 smartphone in the budget segment of the Indian smartphone market in February this year. 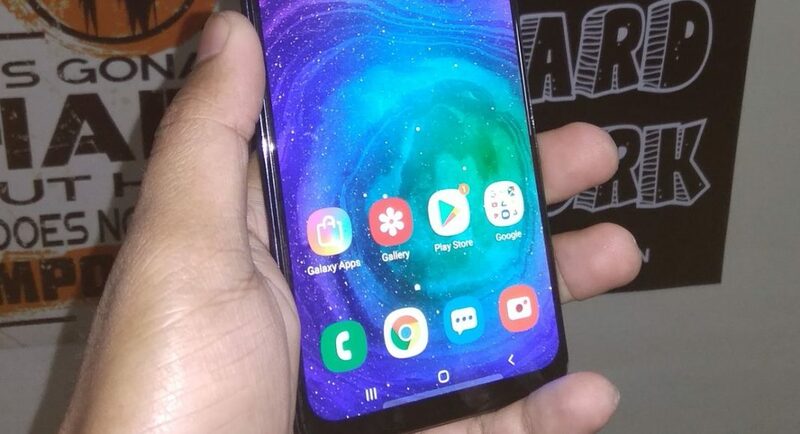 The device is a part of Galaxy A-series smartphones from the company and just a month after its launch, Samsung Galaxy A30 has started receiving the latest software update that brings new features and security fixes. The new update of the Galaxy A30 fixes bugs and problems that the handset had but the key improvements that it gets is to the earphones sound output and a new security patch. The new security patch was released by Google for its Pixel devices earlier last week which later rolled out to Samsung Galaxy Note 8. The new software update of the Galaxy A30 holds the build number A305FDDU1ASC6 and it brings the April 2019 security patch which was originally introduced for the Google Pixel devices. The updated software of the Samsung Galaxy A30 brings “improved stability” for the earphones sound output. Along with that, the update fixes the bugs and stability issues the previous version of the OS had. To download the software update for the Samsung Galaxy A30, the users need to go to ‘Settings’ and then tap on ‘Software Update’ and ‘Download and Install’. The device will automatically download the update package and will install it. But for the update to be installed, Samsung Galaxy A30 needs to have more than 20% battery. The software update is 430MB in size and it is being rolled out via an over-the-air (OTA) update. The Samsung Galaxy A30 is priced at Rs 16,990 (4GB RAM/64GB storage) and is available in Red, Blue, and Black colour options. Coming to the specifications of the Samsung Galaxy A30, it sports a 6.4-inch Full-HD+ (1080 x 2340 pixels) Super AMOLED Infinity-U Display and is powered by an octa-core Exynos 7904 SoC paired with the lone 4GB RAM and 64GB storage option. The Galaxy A30 smartphone runs Android 9.0 Pie skinned with One UI and it packs a 4,000mAh battery with support for 15W fast charging by a USB Type-C port. Samsung Galaxy A30 comes with dual-SIM (nano) support along with microSD card support of up to 512GB. Samsung Galaxy A30 has a dual-rear camera setup which comprises of a 16MP sensor with an f/1.7 aperture paired with a 5MP secondary sensor with an f/2.2 aperture. While at the front, there is a 16MP selfie camera with a fixed-focus and an f/2.0 aperture.